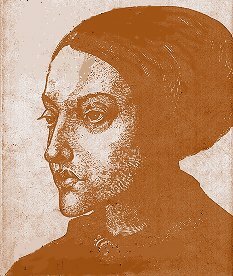 Christina Rossetti, English poet, was born in London in 1830, and went quite a different direction from the pre-Raphaelite movement centered on her brother Dante Rossetti. Goblin Market, published when she was thirty-two, and described as a children's poem, is startling for its evocativeness and sensuality, though it does not in any way purport to depict sexuality. It is instead a cautionary tale about the intense delights and dangers of, and a means of escaping forbidden fruits, whatever they might be. It is also a poem of wonderful rhythm and music aloud. It might be best to download (save as text) and read later, as it is 545 lines long.